Holidays and camping in Crete offer a variety of experiences and emotions for every taste and preference. Adrenaline? A lot! Explorations? Endless possibilities! Local culture? Rich and diverse! Local cuisine? Lush and healthy! There are not many places like Crete that can boast such a combination of different features and a multifaceted identity. Crete is the ideal travel destination for those who love adventure, nature and adrenaline. The mountains of Crete are a paradise of mountain sports: hiking, climbing, ski mountaineering and snowkite are only a few of the activities you can enjoy here, sometimes in altitudes of more than 2,000m. with a view to the sea! At the same time, the mountains of Crete are crossed by countless gorges that usually lead to the sea. Some are wild and inaccessible without equipment and some are friendlier and easily accessible; but all of them are characterized by a rich and diverse flora and fauna and an ideal landscape for canyoning and trekking. Samaria gorge is definitely the most popular of Cretan gorges, but don’t miss the chance to explore more gorges, such as the gorge of Aradena (Chania), Kourtaliotiko (Rethimno), Agiofaraggo (Heraklion) the Gorge of the Dead (Sitia) ect. Crete is crossed by the E4 European Path, which is divided into many sub-routes (for experienced or inexperienced hikers), passing through landscapes of stunning beauty; sometimes mountainous, sometimes lowland and sometimes coastal. Trekking on E4 paths - but also on other designated trails - is an alternative tourism experience that you should definitely try as part of your explorations in Crete with a LazySnail Campers caravan. Choose the route that best suits your preferences and abilities, take your hat and hiking shoes, bring fresh fruit with you and let the adventure begin! Furthermore, most of Crete's trekking paths can also be crossed by mountain bike for even more adrenaline and more extreme experiences. Surfing in Crete? Absolutely! With waves that can reach up to 2.5 m in winter and several beaches protected from strong winds, surfing in Crete is a unique experience as its waves remain largely ... uncharted! 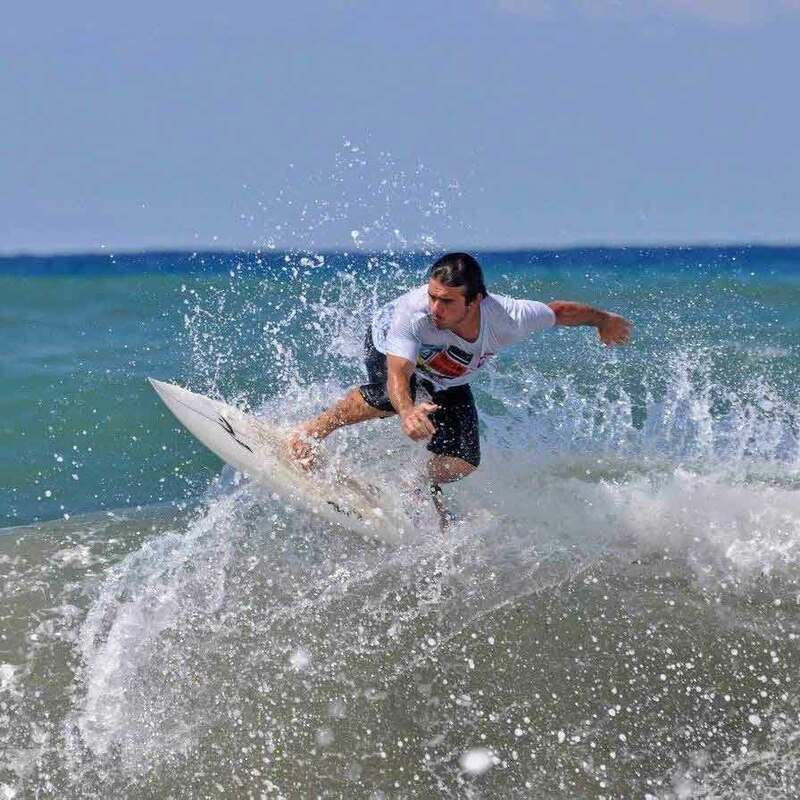 In northern Heraklion, you can find ideal surfing locations in Arina Beach, Konaki Beach (Kokkini Hani), and Stalida. The surfer's ‘hotspots’ are mainly in the northern beaches of Chania, such as Falassarna, Sfinari to the west, and Paleochora to the south. And of course, as you wander around Crete with a LazySnail Camper caravan, you have all the freedom to discover your own secret cove with the perfect waves for private surfing! Crete is also a paradise for the fans of windsurfing and kitesurfing. One of the most popular spots for these activities is definately the beach of Kouremenos in Sitia. With steadily strong winds ranging from 4 to 7 beaufort, Kouremenos is the most famous place for windsurfing and kitesurfing in Europe. At the beach you will find a Club where you can rent equipment or even take classes. In western Crete, you can enjoy windsurfing at the beaches of Falassarna and Elafonissi. Nature, activities, exploration ... everything is very exciting and becomes even more spectacular when combined with the rich local culture and the famous Cretan cuisine. Do not miss the opportunity to experience Cretan folklore in one of the dozens of feasts and festivals. Discover the unique sound of the Cretan lyra, try locally produced raki, taste Cretan delicacies and -why not? - join the dance! Most traditional feasts and festivals take place in July and August. Especially if you are here on the 15th of August, you will find a traditional feast in almost every village! Festivals worth attending include the Wine Festival in Dafnes (Heraklion) in July, the overly folklore Graviera Festival in Anopolis (Chania) and the legendary feast in Avdou (Heraklion), both on the 15th of August. In addition to the countless folklore festivals in Crete, there are many other summer festivals such as the Matala Beach Festival, Chania Rock Festival, Yakinthia in Anogeia and many more. Finally, while camping in Crete with your own LazySnail Campers caravan, you will have many opportunities to taste the island’s famous cuisine! Cretan diet is not only very tasty but also extremely healthy. Olive oil is the basis of the Cretan diet, while local dairy products, wild greens, wine and honey are some of the essential ingredients and complements! Don’t leave without trying local specialties such as chochlioi boubouristoi (snails fried in rosemary and vinegar sauce), antikristo (traditionally roasted lamb) graviera (local cheese) with honey, apaki (traditional smoked meat), gamopilafo (pilaf cooked in meat broth), dakos (rusk topped with trimmed tomato and feta cheese) and feel closer to Crete and its culture.